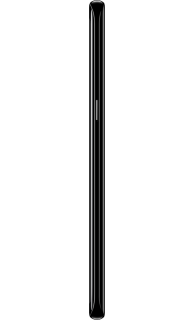 Overview of the Samsung Galaxy S8. If amazing screen quality is something that's essential for your next smartphone, you'll love the Samsung Galaxy S8. It's the Infinity Display with zero bezel that makes it stand out, letting you view, edit and explore with no visual limitations. Inside, it's a pretty spectacular phone too. The Android phone uses a 10nm processor - something of a first in the smartphone world, meaning it's super speedy and mega responsive. Unlike phones from other manufacturers, with the Samsung Galaxy S8 you can expand storage space with a memory card so you can have photos, videos and everything else you need close to hand at all times. 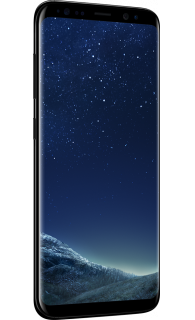 If you're after a smartphone that keeps up with the latest tech, that's fast enough to cope with the daily demand, and with a screen that'll wow just about anyone who uses it, the Galaxy S8 is for you. As well as the impressive screen, and the Galaxy S8's 10nm processor, key features include its 12MP camera at the back, the 8MP front-facing camera, its iris-scanning security feature and the fact that its IP68 rating means it can be used in the rain too. The phone also has Gigabit LTE and is Gigabit Wi-Fi-ready, and it supports 1024-QAM. These features mean that when you're downloading from Wi-Fi, you'll get your stuff a heck of a lot faster than you would with previous models. It's an all-round great multi-tasking phone, with features that let it stand out as a serious contender among tech fans out there. The Samsung Galaxy S8 has a 12MP rear-facing camera and an 8MP camera on the front, making it excellent for budding photographers, and those who love a good selfie. The rear camera has an f/1.7 lens, which makes it an impressive camera to use when there's not much light around. 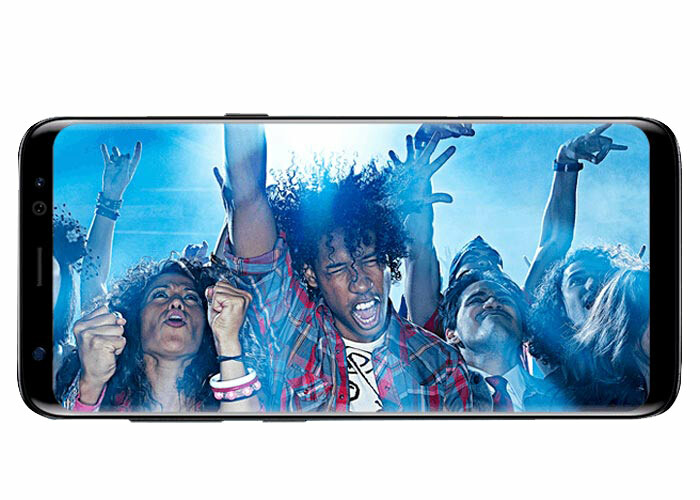 You can also shoot 4K video with this phone. If you already have an Android phone, switching over to a newer model is really easy. Make sure you've backed up all your information to the cloud, then simply sign into your Android account on your new Galaxy S8, and all your data should be exactly where you left it. Moving from a Windows phone to an Android phone requires a few more steps, but should be equally as straightforward. You can back up all your files and information to Google Drive using Google's Drive app. Once uploaded, you can sign in on your new device to access your data. If you're switching from an iPhone, you should also be able to follow the steps above as if you were switching from a Windows phone. 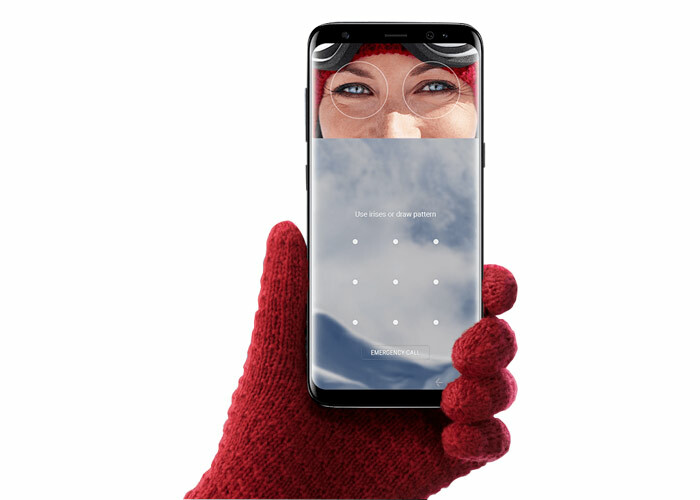 If you want to stay at the forefront of the latest tech, you can go above and beyond the Galaxy S8 with the Samsung Galaxy S9. It's got a better camera (a dual-aperture lens), AR Emoji, Live Translation through your camera and so much more - it really is an impressive model. 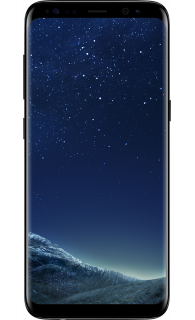 Alternatively, if a bigger screen is what you're really after, Samsung offers the Galaxy S8+ and the S9+, so you can all the features of these brilliant models, with a little more space to see it on. 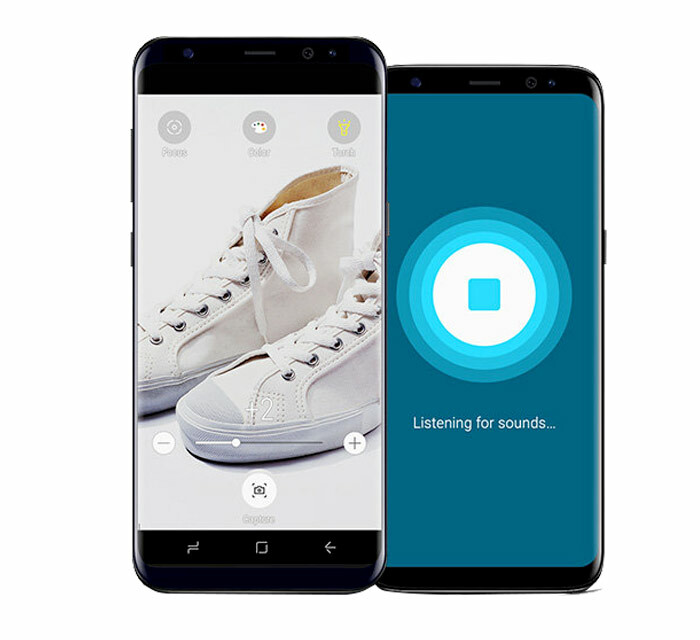 If you like the sound of the Samsung Galaxy S8 for your next smartphone, check out the deals available with iD Mobile today. 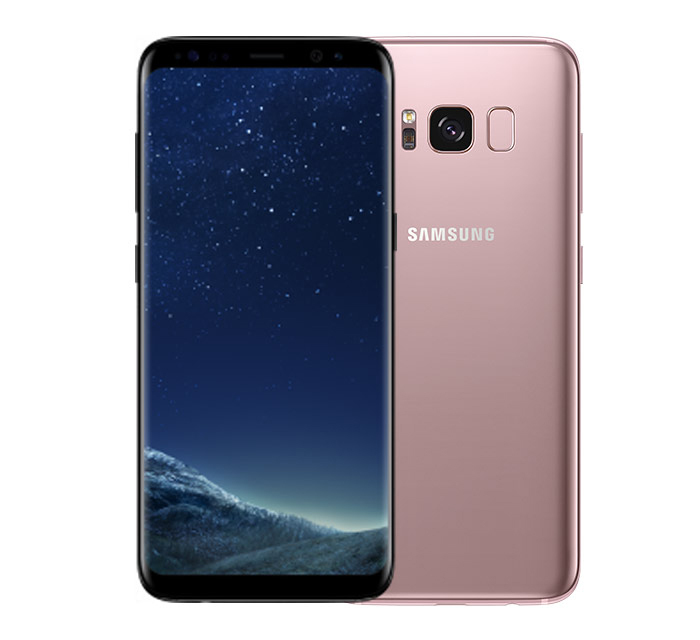 Click here to see all our Samsung Galaxy S8 deals.